Cold Winter Kills Mosquitoes but not the eggs, so what is the solution for that? 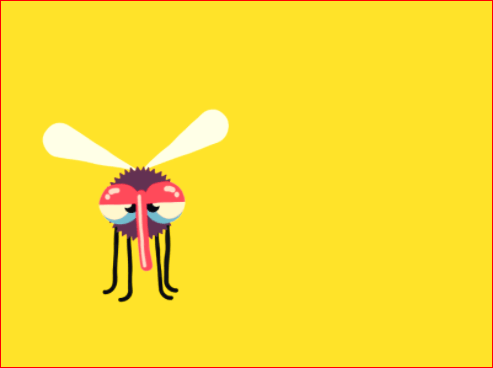 There’s a myth that cold winter kills mosquitoes, and that they don’t cause any kind of mess during the winter months. The thought is partially true. It is accurate that a dropped temperature during cold winter months kills mosquitoes, however, the eggs remain unharmed! As a result, when the temperature and humidity return and we gradually move towards the warmer months, these eggs give birth to larvae that eventually become disease carrying adult mosquitoes. Hear that Houstonians? If you were thinking that there’s no need to worry about mosquitoes this year, you are absolutely wrong! In fact, such services become even more important and water logging by the wet winter that often creates a breeding ground for these insects. The section below introduces the most effective mosquito solutions that are guaranteed to save you from mosquito borne disease during winter months. We have mentioned that cold winter kills mosquitoes, but not their eggs. One way you can get rid of this issue is by using a mosquito misting system. The misting mosquito control systems involve use of a motor, pump, tubing (required for carrying the insecticides), automated timer, reservoir, and various kinds of nozzles. These nozzles are required for misting the insecticides all through your garden/yard or across the area that requires mosquito control. The master unit would be spraying the repellant or insecticide either at a predetermined time (for a predetermined duration). There’s also the option of using a remote control for starting and stopping the system. The insecticide/repellent is sprayed by means of the tubing and spray nozzles, which creates a protection zone or fine mist for protecting you against mosquitoes as well as other flying bugs. These misting systems would ensure that your kids get to play outside more freely. You will also be able to spend time outdoors without being at risk of becoming a victim of various mosquito borne infections. What are my responsibilities in the process? 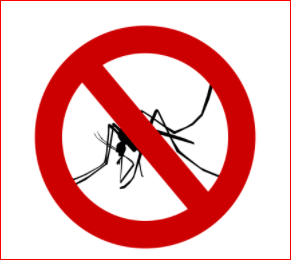 You know that cold winter kills mosquitoes & if you are using a misting system offered by a reputable mosquito defense solution provider in your area, you will need to put in little effort for keeping the unit functional. The only thing you will need to do is getting the system checked by a technician representing the company the system belongs to. In fact, this should be done at a regular interval. The technician visiting your place would do the needful for making sure that the misting system along with its nozzles and tubing is in perfect condition. Are you wondering how quickly a misting system can be installed? For regular homes, the process of installation doesn’t take more than four to five hours to complete. However, if you own a large property, you might need to weight for one to two days for the process to end. It’s true that misting is still the most effective mosquito defense solution. However, the recent years have seen the birth of some alternatives to this traditional procedure. Fogging is surely the most popular defense techniques among those alternatives. So, if you are looking for a suitable defense solution against mosquitoes after knowing that cold winter kills mosquitoes, but not their eggs. If you don’t have a big budget, trying out fogging would be a good idea. Fogging treatments have been formulated for helping you get rid of mosquitoes almost instantly. This amazing procedure may also offer you relief from other biting bugs like fleas, ticks, and ants. One must be aware that the results offered by fogging are not permanent. However, if the procedure is done by qualified technicians, you can expect the results to last for as many as 25 days. In fact, many homeowners find this procedure more suitable than misting. This is because of fogging’s excessively low price! Are the above mentioned procedures safe? Yes they are. Just make sure that when misting or fogging is underway, your pets and children are away from the treatment area. The treated area, however, would become safe for pets, kids, and adults to play and move around after just thirty minutes for application. That’s because the insecticides/repellents take thirty minutes to dry up completely. Convinced that you want to proactively protect your house and backyard against mosquitoes this year? 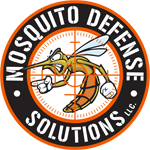 Contact Mosquito Defense Solutions today and see what superior service and a superior product look like!